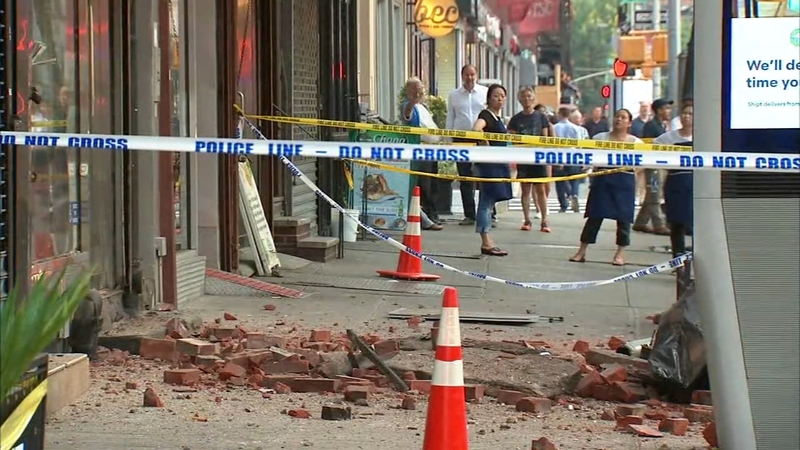 CHELSEA, Manhattan (WABC) -- Authorities responded to the scene of a partial facade collapse at a building in Manhattan Monday night. It happened on Eighth Avenue and 18th Street in Chelsea. Bricks tumbled from the top floor of a four-story mixed-use building, struck an awning and landed in front of a business. Police evacuated the building temporarily as a precaution, but no injuries were reported. The Department of Buildings headed to the scene to investigate. Scaffolding will be put up until the facade is secured.